A suburban trucking company expected its drivers to stay on the road far beyond what is allowed by law, according to a driver who says he was fired for refusing a long run to Mississippi. That driver, who asked to remain anonymous, said that when he told his bosses at Legs Transport in Bellwood that he was being forced to falsify the logs which all truckers are required to maintain, they told him “that’s part of the job”. “I was basically told to change my logs if I wanted to keep my job,” that driver said. He cited an example of an August trip he made to Golden, Colorado, which required him to spend 16 hours on the road on the way out, and another 19 hours on the return trip to Chicago. On that trip, he said his logs indicated that he had been driven by someone else to Lincoln, Nebraska to pick up the truck. But he said that was untrue, that the trip originated in suburban Chicago. 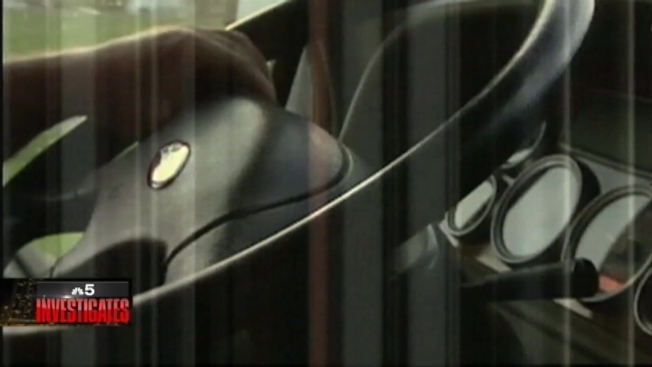 Federal rules state drivers cannot be on the road more than 11 hours without a 10 hour break. Legs Transport refused NBC 5’s repeated requests for an interview, and ordered a producer off of their property when she attempted to get comment. But the driver provided a tape, which he said he made on his telephone from an exit interview, where he allegedly confronted his bosses about the long hours and falsified documents. “I get in trouble for that (expletive),” the driver is heard saying. “If you get in trouble, we cover the (expletive) costs,” a man replies. That man, he says, was his Legs Transport manager. Legs Transport has been cited by the Federal Motor Carrier Administration twice in the last two years for drivers with falsified logs. The agency says 89% of similar trucking companies have a better record on hours of service. In one case in Wisconsin in September of 2013, Federal records say that a Legs Transport truck was taken out of service when it was determined the driver’s logs had been falsified. The National Transportation Safety Board has been especially aggressive on the issue of hours of service and driver’s logs. The agency has for years pushed for electronic logbooks, which are more difficult to falsify. The Chicago area has been hit by numerous high profile accidents attributed to drivers who had been on the road past their legal limits. In March of last year, Illinois State Trooper James Sauter died in a fiery crash on the Tri-State Tollway, in which a trucker allegedly fell asleep at the wheel. Last January, Illinois Tollway worker Vincent Petrella was killed in another crash attributed to a driver on the road illegally. In July, five people were killed in a similar crash on Interstate 55 near Channahon.